Hazen’s second studio EP "This House" is available April 6th on hard copy and digital download formats on all major platforms. 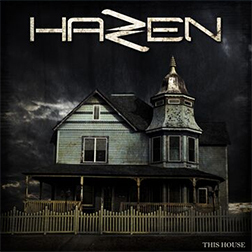 Support Hazen and pre-order “This House” EP from one of the links below! Produced by Hiram Hernandez of Earth Says Recordings. Available April 6th on all major digital distribution platforms and hard copy. Order your physical copy now! Only $5.00 + $3.15 shipping within US. For international orders, please add a $5 donation to cover the additional shipping costs. Includes all five tracks on audio CD with sleeve featuring album art and track list. Please contact us for local payment and pickup options. PayPal and all major credit/debit cards accepted. Would you like your copy signed? This removes the shrink wrap. 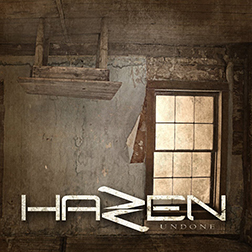 Hazen’s debut studio EP “Undone” is available now in hard copy and digital download formats on all major platforms. Support Hazen and purchase the “Undone” EP from one of the links below! Produced by Hiram Hernandez of Earth Says Recordings. Available on all major digital distribution platforms and hard copy.